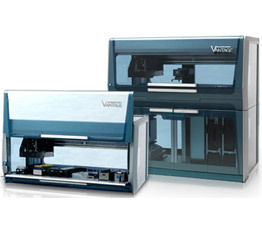 The challenges posed by each of the samples w.r.t NA isolation is unique. 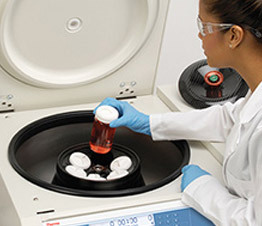 While environmental samples require steps to remove inhibitors, clinical samples such as urine require additional concentration steps to collect NA in small volumes and forensic crime scene samples could be limiting in quantity and subject to harsh environments degrading the nucleic acid in the sample. Protection of surfaces using bench protectors. Clinical samples and those suspected to contain infectious material should be handled with the relevant Biosafety precautions- biosafety cabinets, hoods, appropriate clothing & gloves and other handling guidelines. 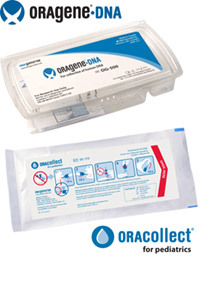 For Clinical solutions, non-invasive samples such as Saliva can be collected using kits such as Oragene•DNA or ORAcollect•DNA can be deployed. 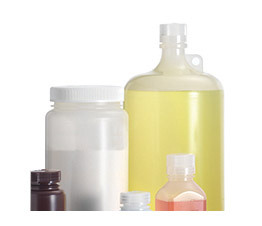 These contain stabilization agents for storage and shipment of saliva samples for testing. 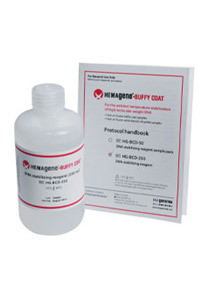 For storage of buffy coat samples, HEMAgene®•BUFFY COAT (HG-BCD) allows stabilization of DNA and transportation at ambient temperature, ease of use with multiple workflows. 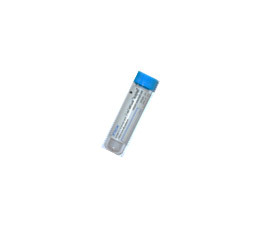 Bead Mill Bacterial DNA Purification Kit – 50 Prep Ensure thorough disruption, for bacteria- centrifuge and re-sonicate or homogenize bacterial pellet. DNA isolation or genomic DNA (gDNA) isolation protocols aims to dissociate DNA from the cellular protein machinery and release into solution. Most commonly used solutions for DNA isolation employ chaotropic salts with or without organic components (phenol) to lyse the cell. This step prevents DNA degradation by exo or endonucleases in the cell. Subsequently, some kind of separation- either on a column, by centrifugation or magnetic bead based methodology is used to capture the pure DNA. 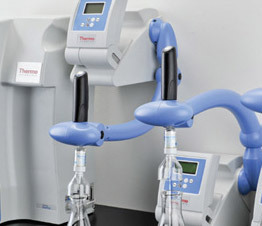 Automation using KingFisher instrument and solutions is available for processing 24 to 96 samples or higher in a single run. Isolation technology Magnetic Bead based extraction. Pure DNA with no guanidine or organic contamination. High Throughput-Compatible Magnetic bead technology, eliminates the need for phenol/chloroform extraction & alcohol precipitation. 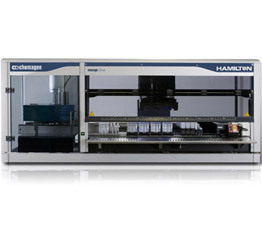 (Ideal for automation and high throughput applications) ChargeSwitch® technology is based on an unique, ionizable nucleic acid-binding ligand whose charge can be switched based on the pH of the surrounding medium. 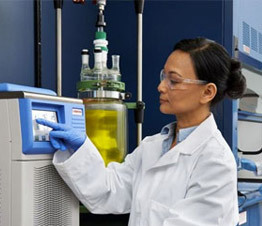 Purification avoids the use of guanidine, ethanol, and other reagents. Isolation technology Enzymatic & magnetic beads. Automated Protocols, High Throughput-Compatible. 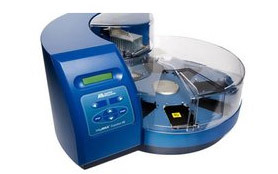 Ideal with MagMAX™ Express-96 Deep Well Magnetic Particle Processor Silica plate extraction chemistry with 96-well plate design for manual or automated processing of plasmid DNA. Automated Protocols, High Throughput-Compatible Zirconia beads for the mechanical disruption of difficult pathogens. DNA isolation using magnetic bead technology. 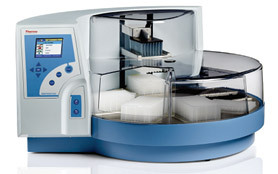 Assessment of nucleic acid concentration can be done via spectrophotometric or fluorescence based measurements. 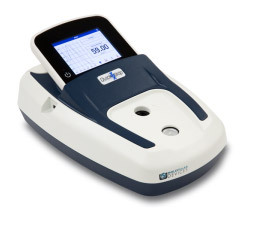 Spectrophotometric absorbance measurements at 260 nm and 280 nm, provide an estimate of the amount of the DNA or RNA and protein in the sample. 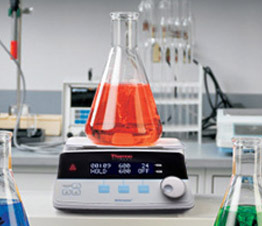 Alternate measurements at 230 nm allow evaluation of contaminants from the NA isolation protocol such as phenol. 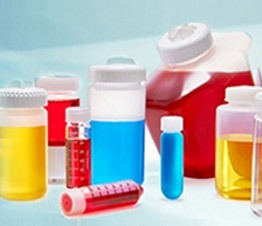 Various applications require different concentrations of sample and purity. 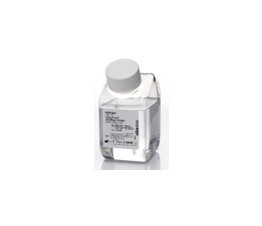 Ratios of A260/A280 nm of 1.7 or higher indicate high quality nucleic acid ideal for most applications. 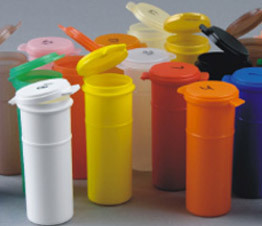 Storage of purified DNA after isolation can be carried out based on long term or short term usage. Ideally, DNA should be stored in buffered solutions such as Tris EDTA (TE) at pH 8.0. A small aliquot of DNA can be stored at 4°C refrigerators for repeated uses. 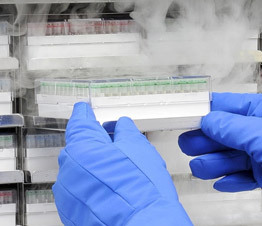 For long term storage, aliquot and freeze in -80°C freezers. Frozen samples should not undergo repeated freezing and thawing as this degrades large molecular weight genomic DNA. Working with RNA poses its own set of challenges. 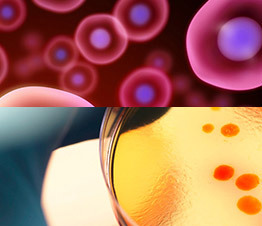 RNA is required for studies involving Gene Expression, Transcriptome analysis, small RNA and microRNA analysis (miRNA), RNA interference (RNAi) , structural RNA studies or RNA virus detection. Unlike its deoxy counterpart, the ribonucleic sugar in RNA is susceptible to alkaline hydrolysis. Once released out of the cell, the RNA is prone to degradation by Ribonucleases (RNAses) which are ubiquitous in the sample and surroundings. IGB Tips: 4 R’s for good quality RNA! 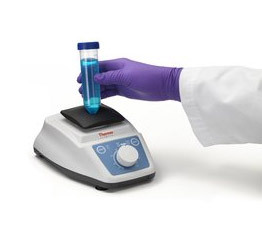 Protection of surfaces using bench protectors. Clinical samples and those suspected to contain infectious material should be handled with the relevant Biosafety precautions- biosafety cabinets, hoods, appropriate clothing & gloves and other handling guidelines. Visit for more biosafety solutions. 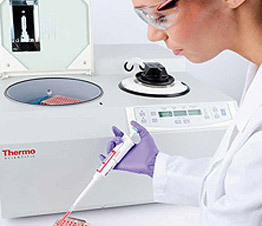 Guide & Brochure: Match our RNA isolation solution to your experimental needs! 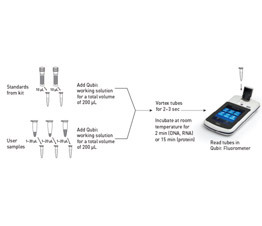 Isolation technology Dual organic and Silica column based method for isolation of RNA. 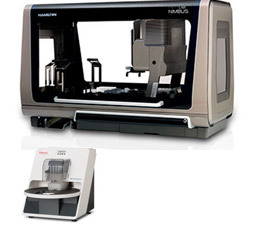 Manual (not for high throughput applications) Magnetic bead based hybridization capture. Enriches for microbial mRNA in a host-microbe mixed RNA sample by selective depletion of host mRNA and rRNA. Host: Human, mouse, rat Isolation of RNA and DNA from viruses and G- bacteria. Kit based on magnetic particle based 96-well format. 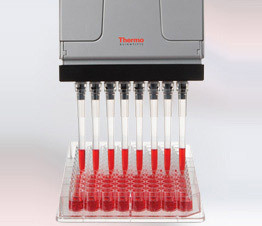 KingFisher™ Flex Magnetic Particle Processor, MagMAX™ Express Magnetic Particle Processor, MagMAX™ Express-96 Deep Well Magnetic Particle Processor, MagMAX™ Express-96 Standard Magnetic Particle Processor The kit is designed for isolation of viral RNA or DNA in a low volume. It is a silica spin column based isolation resulting in NA free of proteins and nucleases. The final NA is eluted in 10-50uL elution volumes typically used for viral detection and genotyping. 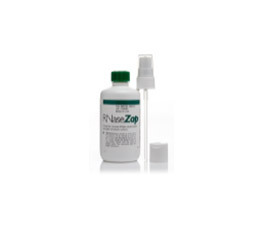 Ensure optimal DNase I treatment of RNA samples. 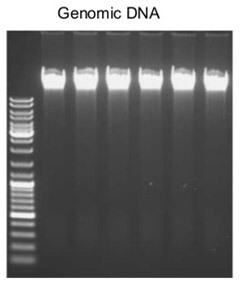 To check run on 1% agarose with appropriate size standards to ensure no high molecular weight bands corresponding to gDNA. 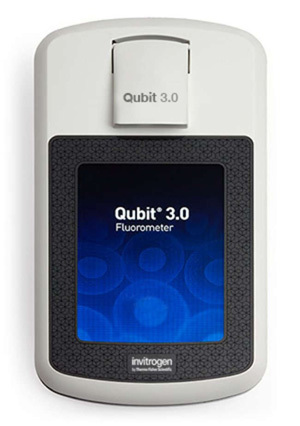 Additional QC checks with Qubit assays can help measure concentration of RNA in the final isolate. 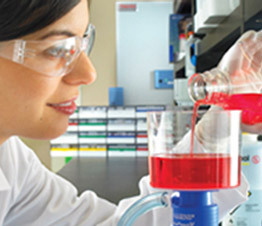 Purified RNA should be stored in THE RNA storage or RNA secure™ Resuspension Solution. 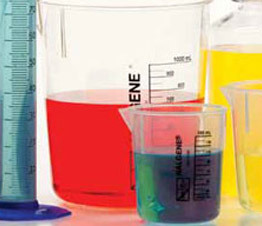 Ideally, RNA should be stored in at neutral or slightly acidic conditions. 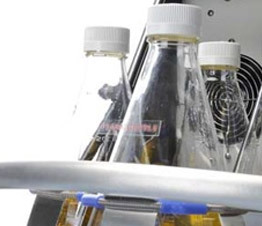 A small aliquot of RNA can be stored at 4°C Refrigerators for repeated uses. 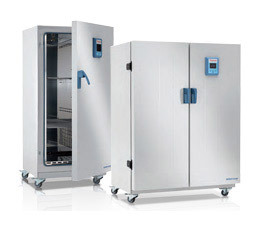 For long term storage, aliquot and freeze in -80°C Freezers. 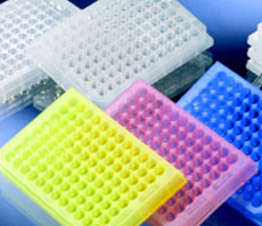 Frozen samples should not undergo repeated freezing and thawing as RNA is very susceptible to degradation.